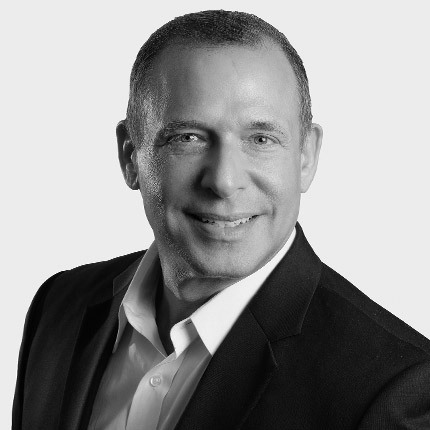 Peter Lichtenthal is a dynamic global executive with deep experience in nurturing creative and executive talent while growing iconic brands within the prestige cosmetics industry. His innovative and strategic leadership was key to his nearly 30 years of success at the Estée Lauder Companies, highlighted by his role as Global Brand President of Bobbi Brown Cosmetics, Bumble and bumble, and Smashbox Cosmetics as well executive positions at M.A.C. Cosmetics and Estée Lauder's flagship brand. During his career, Peter steadfastly guided numerous brands through rapid change, fostering creation of new products and diversifying supply and distribution chains. He also developed and executed successful business plans across multiple prestige cosmetics platforms, leading high-performing teams that ensured continued growth and evolution within a highly competitive global market. As a Global Brand President at Estée Lauder, Peter became concurrent leader of multiple prestige brands including Bobbi Brown, Bumble and bumble, and Smashbox. As President of Bobbi Brown, Peter sharpened and grew the company's $1B makeup and skin care retail strategy, fueling new product development as well as continually energizing its already well-known lines. As President of Bumble and bumble, Peter transformed a prestige salon-based hair care brand into an omni-channel industry pioneer. He accelerated new product innovation, developing an aggressive creative pipeline, and made the groundbreaking decision to diversify sales to include retailers like Sephora and Ulta. The resulting strategic partnership led to the highest revenue ever generated by a hair product line at Sephora, as well as double-digit growth each of the following four years. During these periods of dramatic change, Peter made it a priority to preserve the artistic roots and authority of each brand while energizing and reorganizing teams to deliver results that exceeded expectations. Peter's ability to create meaningful partnerships is evident throughout his entire corporate career. In 2001, Estée Lauder asked him to take the helm in merging its North American and International Marketing divisions as the company created its first global team. He leveraged his previous experience as a leader of top-to-bottom marketing operations under both mantles to craft the structure, processes, and global strategy needed to best position the company to build brand equity and profitable growth. Peter's keen cultural sensitivity enabled him to respond to diverse regional needs as he forged a global marketing vision for the company's flagship brand. Through numerous opportunities to represent prestige brands around the world, Peter also found another calling as a motivating public speaker. He is regularly sought after to present at creative and business forums and excels at speaking with ease in a variety of settings. He reads and responds to audiences well, and is comfortable with formal presentations and extemporaneous speaking as well as panel moderating and interviewing. He has been honored to be a guest lecturer at his alma mater, Brandeis University, in their International Business School. As an inclusive and motivating leader, Peter makes it a priority to dedicate his time and talent to causes he is passionate about. Initially serving as a student mentor, Peter is now a board director for The Point Foundation, an organization that empowers LGBTQ students to achieve both their academic and leadership potential. Additionally, he is Chair of the foundation's Community College Program. Peter also founded and co-chaired Estée Lauder's LGBTQ Employee Resource Group, working with executive leadership to craft policies that foster a welcoming culture, ultimately earning Estée Lauder the highest rating from the Human Rights Commission. Peter also served on the Board of Directors for M.A.C. AIDS Fund, Gay Men’s Health Crisis and Second Stage Theater. Peter and his husband Perry have been together for more than 20 years. He has lived internationally and has an affinity for learning new languages. He is an avid theater and film enthusiast and enjoys traveling and fitness.